Netherlands, Latin, along with ancient Greek, is a compulsory choice in gymnasia, the highest-ranked kind of secondary schools, the equivalent of grammar schools in the Netherlands. 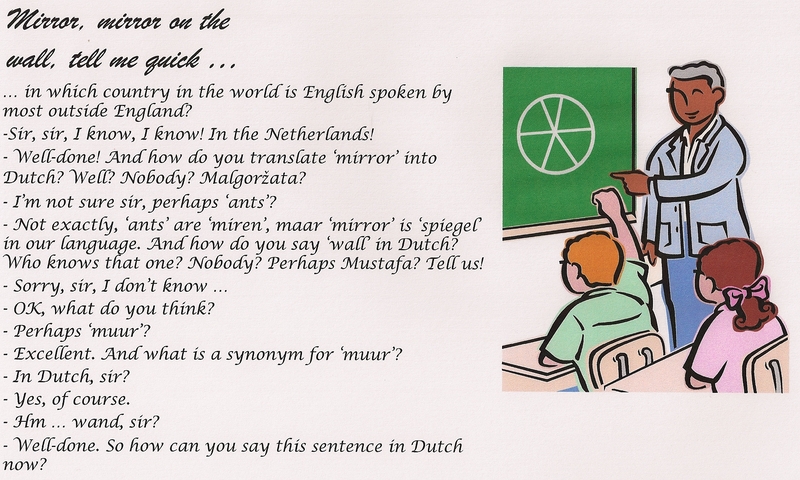 Besides, a teacher is required to speak fluent Dutch to be able to teach English there and at other secondary schools. Why, should we ask! The Netherlands as a country is still very helpful to immigrants at the moment with teaching Dutch to them often free, or almost so. In my city, people can receive 3 hours of teaching 4 days a week if they have their middays free. So how do those teachers there teach their own language? Like this, may I ask? Well, to be honest, no English, or any other languages are spoken there. The teachers speak some or good English and very occasionally help someone with a word if absolutely necessary, but it’s avoided – students have to talk and understand the target language. 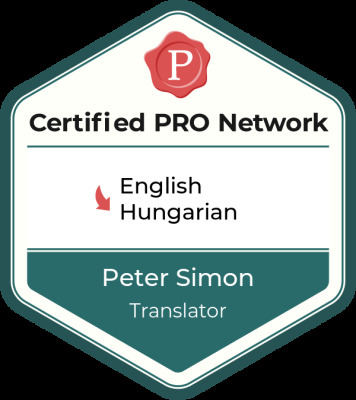 This is the point: use the target language! Most English teachers would agree that this is one of the most important elements of a language class. Of course, with a modern language the aim is not to translate texts and fill tests about the language but to learn to think in that language and thereby communicate as effectively and fast as possible. Do English speakers only forward this notion so that they can get jobs around the world? True, without this aspect, nobody from America or Britain or Australia could get jobs in Eastern Europe, or further to the East, nobody could get jobs in China or Thailand, or other exotic but developing countries where English learning is needed. I wouldn’t have been able to teach English in China either. The German guest teachers couldn’t have worked in my school’s German classes in Hungary either. Do we fail? Not at all. I haven’t failed, and neither have those whom I’ve seen in Hungary or China do their jobs in class, whose classes have been enjoyed by students who have benefitted greatly from the experience and even taught their mother tongue to the guest teacher a bit. 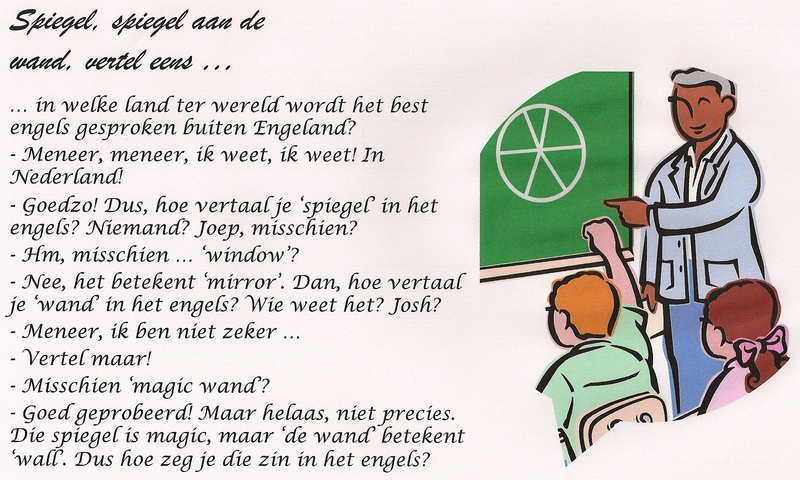 So why can’t I get a teaching job in the Netherlands, and neither could anyone else without fluent Dutch? I’ve been told on several occasions that this is basic if I want to teach here. 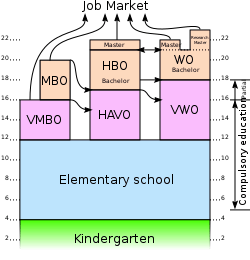 I know that the law prescribes having our degrees assessed and approved by the “Ministerie van Onderwijs, Cultuur en Wetenschap”, the Dutch Ministry of Education. It is necessary for all teachers from abroad, for obvious reasons. But I am not usually asked about it even when I am sometimes not rejected outright without any serious explanation. The few times somebody got to communicate with me about my application, I was asked instead how I keep contact with the students, with the parents and the colleagues at school without fluent Dutch. Fluent seems important because at these occasions we communicated in Dutch all right. Still, it didn’t suffice. May I ask if my job is to teach English, or to chat and bide my time with the students? For the heap of money I would get, in comparison to my Hungarian salary at least, I’d happily do that, but no, no way. I would also very much like to know who can decide what it means to be a fluent speaker of Dutch on the basis of a two-minute telephone conversation in which I’m praised for my language level but told outright that still, being a foreigner, I can’t speak fluently. What if I can? How does anyone know if I’m not given a chance? On the other hand, earlier, when I was interviewed once, the panel didn’t want to hear my English at all. I wasn’t even asked how well I could speak. They asked me, in Dutch only, how I could keep in touch with everybody only in English. As if nobody here, no parents and no colleagues could speak English in this country, which, according to the EU report published recently and downloadable here, is on top of Europe with regard to foreign language competency, especially to English. At the end, my interviewrs admitted that at around age 14 or 15, their students didn’t speak English. They start English teaching at the beginning of secondary school at least, at the age of 12. How could they not teach them some reasonable level of English in two or three years? Very possibly with methods seen above in the first example. People learn English later, outside school, from TV, films, music, whatever, and by travelling to the other side of the English Channel. Easy. For school as well – people will learn English without them doing anything serious. Except tests for those going to university. Thus is the English level of an applicant not really important at all, but his/her Dutch is of utmost importance. My further question is, how could teachers here be so incompetent? Possibly, because they haven’t had to learn the language in language classes either. Perhaps they’re just jealous of their positions. Isn’t it their job to teach English? Do they not do their job? Yes, lots of foreigners could do it a lot better.